You may get the idea, from reading this blog, that I am sponsored by Volkswagen. Let me assure you, as much as I would love that, it is not the case. One of the reasons I like that brand, is basically because my first car was a Volkswagen. But that is not the only reason. Not only do good people often drive Volkswagens, but also, the company comes along with some of the most uncommon cars you can imagine. It is Volkswagen after all that brought out the Phaeton, the ultimate unknown luxury car, designed to go against the likes of Bentleys and S-Classes. But before that, they also wanted to go for more accessible targets, such as the BMW 3-Series. They had the car for that segment, the Passat, but for some unknown reason, they wanted the entire range covered, so the mild-mannered Jetta (or Bora in Europe) found itself pitched against one of the most classic cars ever as well. To do this, Volkswagen needed a six-cylinder engine to provide power and comfort. They had that, in the form of the Verkürzt Reihenmotor Sechs, or VR6 for short. Contrarily to what the name would suggest, the VR6 is not a complete V6 engine, but in fact a straight six with a slight angle of 15 degrees between the cylinders, a straight V6 if you will. The same concept was used in the past in the Lancia Fulvia and its V4 engine. The benefit of this configuration is that it is very compact, meaning you can put a 6 cylinder engine in a Golf. The same idea was further developed for the W range of engines higher up the scale, culminating with the W16 found in the Bugatti Veyron. 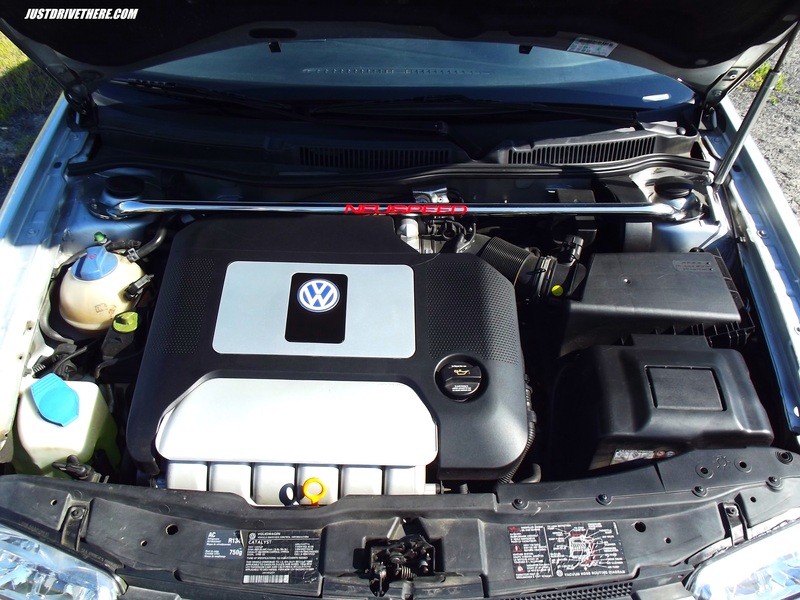 This VR6 engine first appeared in the third generation Golf, under its eponymous label. It was also the engine that powered the Mk4 Golf R32, albeit in a 3.2 litre form. In the Jetta, this VR6 engine, in a 2.8 litre variant, developed 200bhp, with 264Nm of torque. Does not look like much today, but back in 2003, that was more than enough! In 2003, the VR6 in the Mk4 Jetta was slightly modified compared to previous years, with 24 valves instead of 12, which provided the car with a boost of 25bhp and a more rev-happy character. 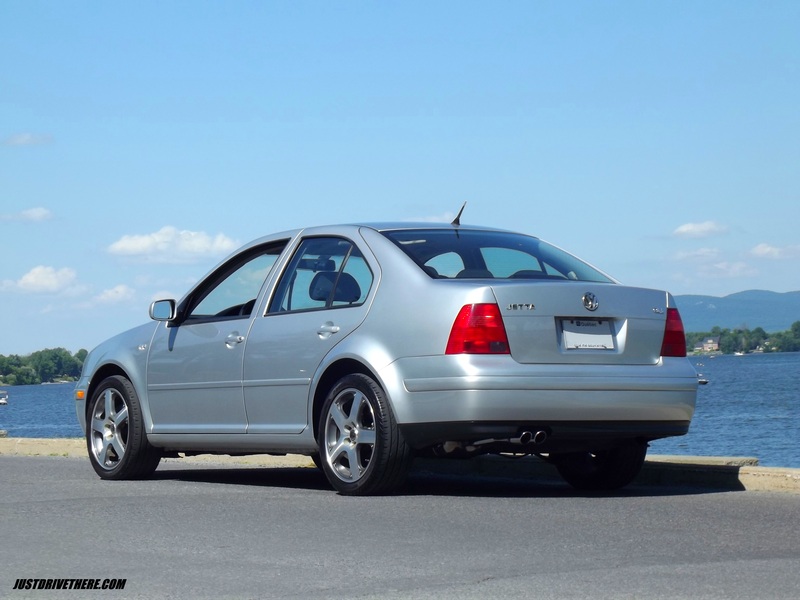 2003 also saw the appearance of the GLI range, replacing the GLS. The particular Jetta VR6 I got to drive was the GLI version. When it was new (and from 2003 onwards), the Mk4 Jetta had two VR6 variants, GLI and GLX, to go against the BMW 3-Series. GLX was the luxury version, available only in automatic, and leather trim, whereas GLI was the more performance-oriented version, with a basic functional interior and available only in manual (how times change!). If you enjoy driving, this was the version for you. People like to criticize Volkswagens for the blandness of their design. But they are not always bland; you just have to pay attention. Take the Jetta GLI, for example. I like to think that when they were designing it back in the 90s, the Volkswagen engineers had the perfect sleeper car in mind. When you look at it, the GLI looks like any other Jetta. To be frank, it is not the most exciting of designs, but it does age well. Look a little closer however and you will notice the subtle details, such as the racing exhaust, those beautiful 17 inch wheels, and those semi-bucket seats, with a decent amount of bolstering. Get inside, and you will notice that the speedometer that goes up to 260km/h, and the 6,500rpm rev-limiter. The devil really is in the detail in this car. If you opened the bonnet, and gave the engine a quick glance, you would be forgiven for thinking that it is just a measly 1.8 litre four cylinder engine given the big plastic cover. Only once you turn the key, do you realize that you are not in an ordinary Jetta. The sound coming from that sports exhaust is that of a great six-cylinder. To the ear, it is very similar to the legendary BMW straight-six, and only slightly falls in comparison to the legendary Alfa Romeo Arese V6. As you go higher in the revs, the sound just gets sweeter until it becomes a controlled howl. When you start driving the car, you do not get the sensation that you are driving a Golf-derived product. The steering is perfectly weighted, the gearbox is precise and changes gear in short shifts and overall the ride is firm, but comfortable enough. At normal speeds, the suspension absorbs bumps nicely, a good change from the usual “sports suspension”. That VR6 engine is one of the smoothest I have ever driven. Foot down in 5th gear at 2,000rpm, and the car just goes, no questions asked. This is thanks to the ample torque the engine produces. On the highway, the car just munches the kilometers with ease and is an overtaking machine. I used to think that my old Golf was a cross-country tourer, but this is just in another league. The cabin is all function over form, very Germanic and useful. It is also well equipped, having heated seats, all electric windows, a sunroof and air-conditioning. However, this car being assembled in Mexico, I could not help but feel that with time, it would not hold together as well as its German twin brother. To put that in context, the car I drove may be only 10 years old (with 189,000 kilometres), but the windscreen was leaking and on that day, the handbrake would not work…. As a highway machine, the Jetta GLI is perfect, however, when you start to push the car on the twisty bits, you realize that performance driving is not exactly what it was meant to do. Overall, the Jetta GLI VR6 is a great car. Comfortable, quick enough, beautiful engine and reliable. It is also the perfect sleeper car, as it looks just like a Jetta, but has the numbers to rival a 3-Series. However, don’t expect to have that much fun if you take it out on the track…. The reason I would consider buying this car though is that engine. You have to drive a VW VR6 at least once in your life! A big thank you to Hubert for the chance to drive this legendary machine! 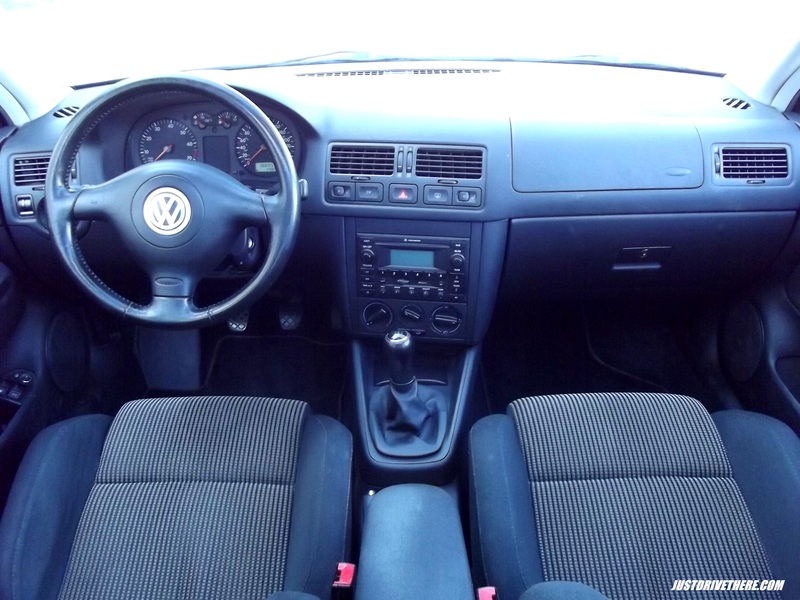 This entry was posted in Car reviews and tagged 2003, 3-series, bmw, bora, gli, golf, jetta, mk4, sleeper, volkswagen, vr6. Bookmark the permalink. Great writeup on the GLI. I bought one with really low miles (~25,000) last year as a commuter car. I normally like big 4X4s. However, the GLI was a big surprise as far as performance. I drive it everywhere. Not a rocket (especially off the line), but suprisingly spry at highway speeds. Big SUVs and pickups are usually up against poor aerodynamics. Not me. One day, I’ll buy that e46 BMW M3, but not in the near future. Thanks! I own the gli vr6 2003 mk4 6 speed……I love this car. Thanks for a good read. I have the same vehicle – bought it for my daughter who has since turned it back to me. IMO, the comparison to BMW is the wrong one to make. Rather, is this GLI worthy successor to the sweet spot of practical performance that GTIs & GLIs are supposed to strike? Having owned a MK2 GTI, I think the answer is mostly a “yes:” more refined but way more gregarious. Unfortunately, that great engine almost tips the GLI off the mark with its extra thirst and weight, but it is fun to drive nonetheless. interested read, but i dont think the jetta and gti were ever made to compete against the bmw 3 series. i dont think they are even in the same class. At 170,000m this car runs sturdy. Everything German out this car is absolutely incredible, though, you were spot on with the parts made in Mexico. Nobs and latches on this seem to break without much cause after taking on so many miles, but I would take those issues to mechanical ones any day. SO impressed with this car, and it is the absolute best year of its model. I remember encountering this. I changed the spark plugs (used NGK) and also new Ignition coils. Fixed the issue right away. I’ve owned a 1997 Jetta, 2001 vr6 (the 12v engine), 2003 GLI VR6, and currently I own a 2012 GLI and 2015 GTI. I have to say my favorite car is the 2003 GLI VR6. Loved the way it picked up. Maybe I’ll get it again some day. Hope this helps! I have been searching for another one, but I haven’t had any luck yet. The new “GLI” Jetta is a joke with that little 4-banger turbo. It goes fine, but it just isn’t the same as driving the VR6. I have even considered a Golf R, which is fun…but not as fun as my son’s car. 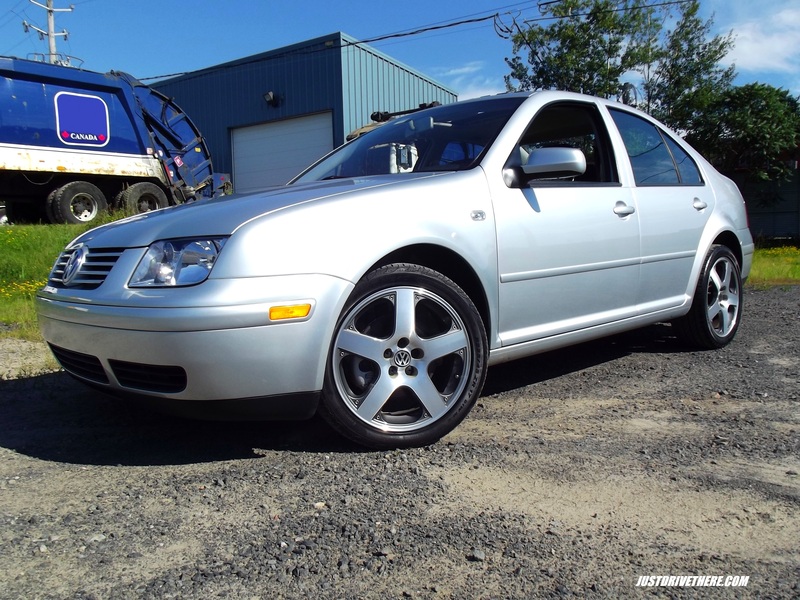 I seriously need another VR6 Jetta with a 6-speed…or years of therapy to cope with my disappointment and jealousy issues. If VW ever decides to satisfy American DRIVERS again, I’ll jump at the chance to buy one new…but the EPA seems to have scared all the car companies away from making performance vehicles for us common folk. If you own one of these gems, don’t ever sell it — except to me. I hear you. This is a car I want to teach my daughter to drive…but she is only 2! I bought mine new and still love it. It drives like new and yes so smooth; it really is in the details. Great article. It’s tough to let it go but I think I’d consider selling it to someone who will appreciate what it is.